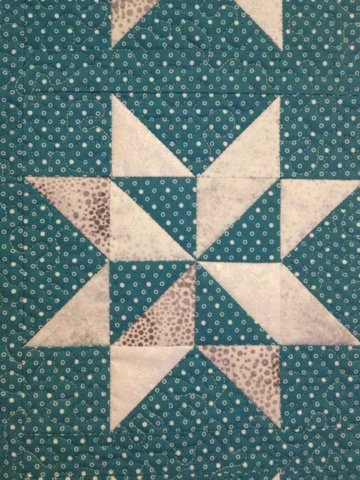 Size: 26 1/2" x 35 1/4"
The background fabric is Karma Baby by Mint Blossom for Northcott. 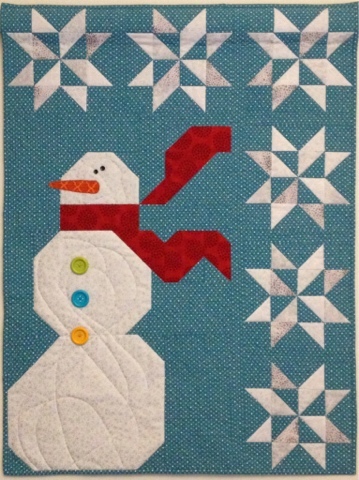 The snowman and snowflakes fabric is First Frost by Karen Montgomery for Timeless Treasure Fabrics, Inc. The snowflakes also have Sweet Tea for Anthology Fabrics, Fairy Frost for Michael Miller Fabrics, and Stonehenge for Northcott. The scarf and carrot nose are both from Bobbins and Bits by Pat Sloan. 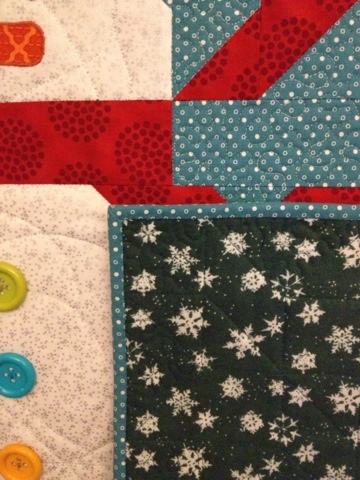 On the back I used a green flannel with white snowflakes from my stash (sorry I don't remember where it's from). 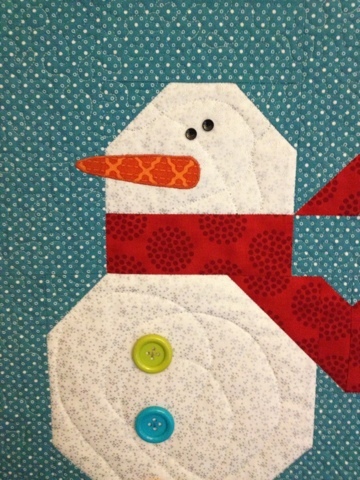 I meandered over the background, stitched in the ditched around the snowflakes and randomly stitched over the snowman. The binding is the same as the background fabric.